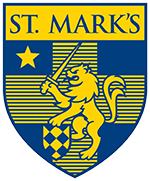 St. Mark’s Alumni never shy away from an opportunity to serve their fellow citizens and their country. Generations of Marksmen have given their time and energy to the Armed Forces. For their service and ongoing commitment to our nation, we thank them.